Barça are moving closer and closer to what would be an unprecedented FIFTH Copa del Rey in a row. Next up is Sevilla in the quarter finals, with the Sánchez Pizjuan hosting the first leg on Wednesday at 9.30pm CET, with the return to come seven days later at the Camp Nou. Sevilla might be one of the strongest teams in Spain, and we have had some memorable encounters with them over the years, but the last 24 meetings across all competitions have only produced one defeat, a 2-1 win for the Andalusians in a league meeting in 2015. The Barça wins have included two Copa del Rey finals in 2016 and 2018, the Spanish Super Cup at the start of this season, and the Liga meeting at Camp Nou three months ago. The 26 cup games between the clubs have produced just one no-score draw. The solitary 0-0 occurred in 2007/08. Sevilla have no fewer than four players that have a past at FC Barcelona. Defender Sergi Gómez played 96 games for Barça B before moving to Andalusia via Celta. Nolito followed a similar route, also passing by Manchester City, Benfica and Granada. Aleix Vidal returned to Sevilla last summer after three years on the books at Camp Nou, while Munir El Haddadi has only just departed Barça as a winter transfer. He and Nolito, however, will be sitting out at least the first leg though injury. There are three players that have headed in the opposite direction. For all of ClementLenglet, Ivan Rakitic and Denis Suárez, this game brings a meeting with their former club, although the latter has not been included in the squad. 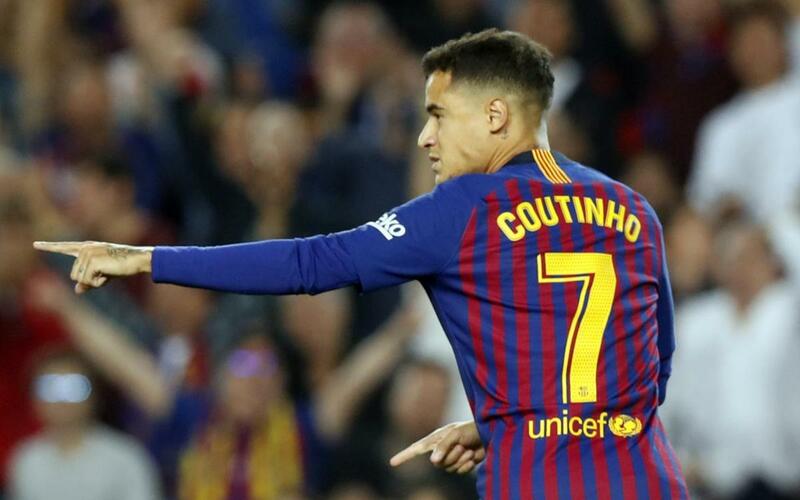 Barça, five points clear at the top of the Liga table, have reached the last eight by beating lower league Cultural Leonesa 5-1 on aggregate and last comfortably overturning a 2-1 round of 16 defeat to Levante with a 3-1 victory in the second leg at Camp Nou. Sevilla dropped to fourth in La Liga when they lost to Real Madrid last week, and are through to the last 32 of the Europa League, where they will play Lazio in February. In the cup they made heavy work of Villanovense in their opening fixture, winning 1-0 on aggregate, and saw off Athletic Club 3-1 to earn a place in the quarter finals. Wissam Ben Yedder (16), who is still waiting for his first goals against Barça, and Pablo Sarabia (14) are their top goalscorers this season, although Portuguese striker André Silva leads the way in the Copa del Rey with two. Pablo Machín is the man who masterminded both Girona’s first ever promotion to the first division and also their excellent debut season before being tempted away by an offer from Sevilla last summer. The big news is that Kevin-Prince Boateng, just a day after being officially presented as a loan signing from Sassuolo in Italy, has been named in the squad and could become the first Ghanaian to play for the club. Another talking point is the absence of Leo Messi, who boss Valverde has decided to rest for this one, along with Sergio Busquets, Sergi Samper and Denis Suárez. Barça are also without the suspended Jeison Murillo and the injuted Ousmane Dembélé, Samuel Umtiti and Rafinha. The full squad is as follows: Ter Stegen, Semedo, Piqué, Rakitic, Coutinho, Arthur, Luis Suárez, Cillessen, Malcom, Lenglet, Jordi Alba, Boateng, Sergi Roberto, Aleñá, Vidal, Vermaelen, Riqui Puig and Oriol Busquets, the latter two drafted in from the B team.